May 3, 2011 (Auburn, NY) – Eleven Cayuga-based nonprofit groups received grants totaling $13,500 from the Cayuga Community Fund. The Fund, with endowment assets of approximately $500,000, was established in 2008. Auburn Civic Band received $1,300 to improve its public announcement and recording equipment. Auburn Public Theater received $1,000 to help send forty students to New York City for a showing of Hamlet by Royal Shakespeare Productions. Aurora Free Library received $1,700 to update the circulation, card catalogue and patron-use computers and printers. Calvary Food Pantry received $2,500 to purchase the necessary equipment to double the amount of produce available for local food pantry distribution. Cayuga Home for Children received $500 to conduct a survey for the Whatever it Takes program that will identify the program’s effectiveness, explore growth and increase the agency’s ability to do research and outcome management. Cayuga Museum of History and Art received $1,000 to create a new, interactive website for the museum and its Case Research Laboratory. Cayuga Seneca Community Action Agency received $1,000 to purchase portable cribs and high chairs to increase child safety and well-being for participants in the Healthy Families program. Montezuma Historical Society received $1,000 to commission a muralist to paint a historic Erie Canal public art mural that promotes the Town of Montezuma Heritage Park. Seneca Cayuga ARC received $1,500 to construct a shade pavilion at Camp Columbus, a summer day-camp for individuals with developmental disabilities. Seward House Museum received $1,000 to purchase a public address sound system to be used for museum programs and events. Transportation Project for Cayuga County received $1,000 to transport special needs children to Freedom Camp, which provides recreational, educational and social activities to persons with disabilities. The Leadership Council of the Cayuga Community Fund is chaired by Robert Bergan. Other Council members are Dan Cuddy, Ken Entenmann, Jill Fandrich, Jack Hardy, Howard Hartnett, Alice Hoatland, Beverly Miller, Lisa Marsh Ryerson, David Tehan, Earle Thurston and Steve Zabriskie. The Cayuga Community Fund is a component fund of the Central New York Community Foundation. The Community Foundation has served Central New York for over 80 years, receiving, managing and distributing charitable funds for the benefit of nonprofit organizations. Grants are awarded for programs in the areas of human services, arts and culture, education, environment, health, economic development and civic affairs. 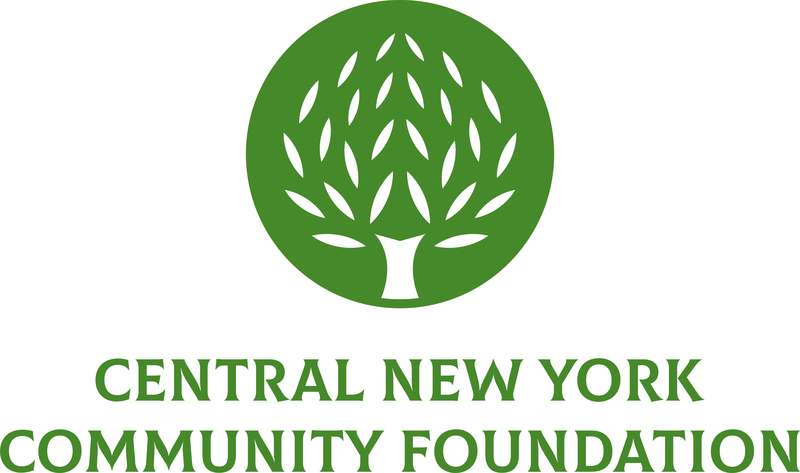 The Central New York Community Foundation awards more than $5 million in grants to nonprofit organizations annually. The Community Foundation, of 431 East Fayette Street, Syracuse, NY 13202, can be reached at (315) 422-9538 or www.cnycf.org.